The Black Tie Wedding… Every so often we all are invited to a black tie wedding or event. While a sequined gown would be too heavy, a short dress would be too casual. We’ve picked two long dresses with the ability to be dressed up or down depending on the black-tie event! 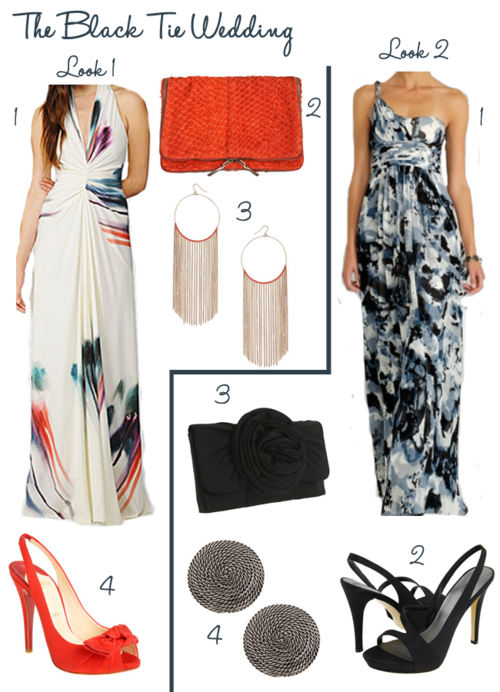 The second look is much more budget friendly… which is your favorite?